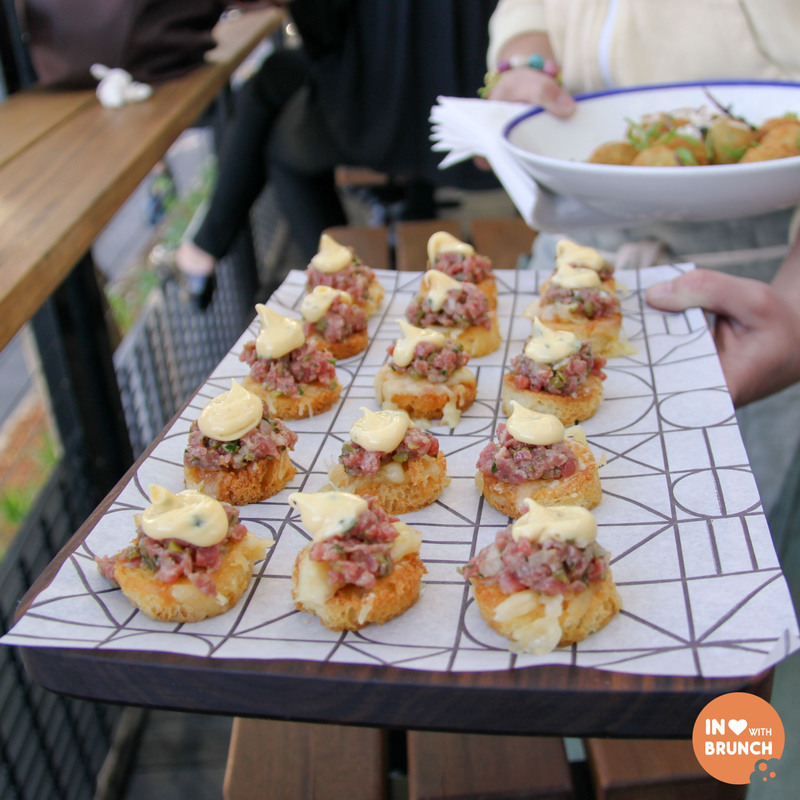 i was recently invited to the official opening as well as a bloggers evening at melbourne’s hottest new riverbank eatery. 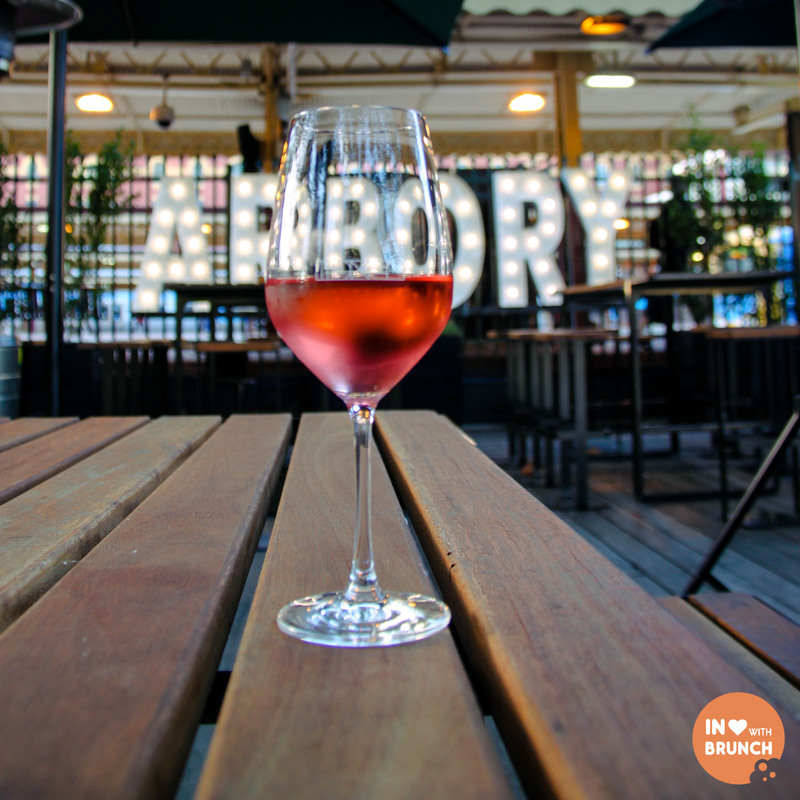 if you use public transport in melbourne or have walked anywhere near flinders street station in the last few months, you wouldn’t have been able to miss “the arbory” which has been purpose-built over the abandoned sandridge line. 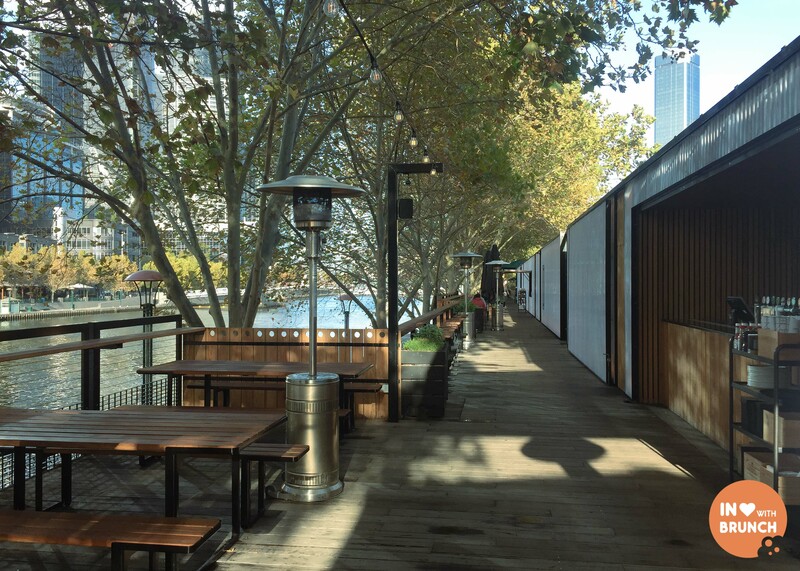 literally… the deck is 150m long, spanning the length of the old train platform. 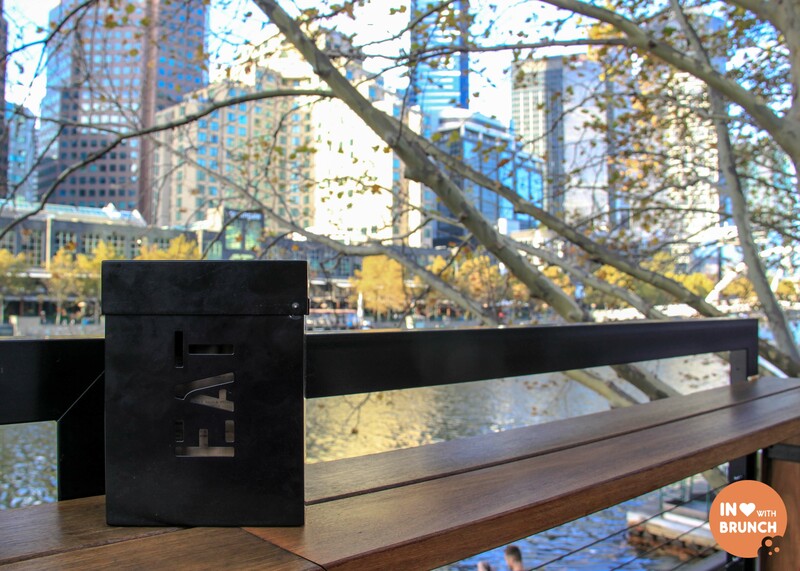 it is a stunning vista – looking directly onto the yarra river, hamer hall + southgate and covered overhead by a line of beautiful trees. and the lineage of food couldn’t get much better either. the kitchen is run by executive chef nick bennett (trocadero, cecconi’s) and chef michael fox (2012 young chef of the year), offering both an early and a late menu. 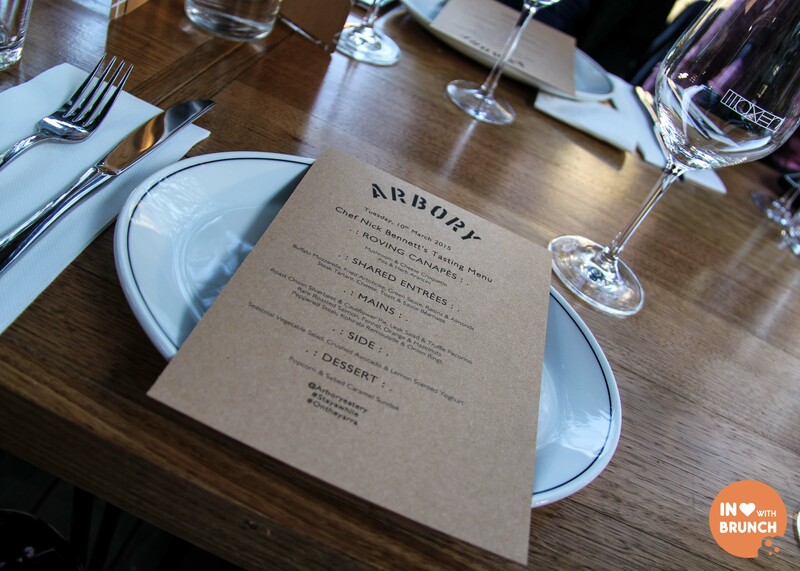 impressively, the arbory is open from 7.30am to late everyday! i can’t remember ever having predominantly pineapple as the fruit served with a bircher muesli, but after today i’m a huge fan. 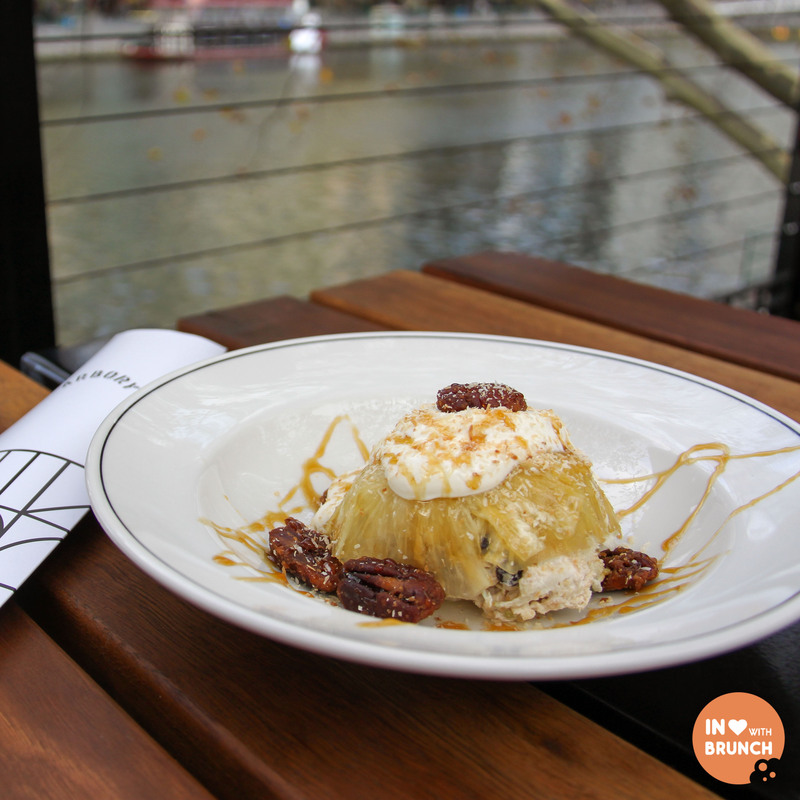 the vanilla macerated pineapple (which sat atop the soft coconut muesli) and candied pecans were the hero of this dish. a gorgeous punch of sweet + tart. also, at just $10 this is a really reasonably priced dish. this was my husband’s choice for the morning, but i can’t deny that after he made his third “this is delicious”, i couldn’t resist and had to try some! 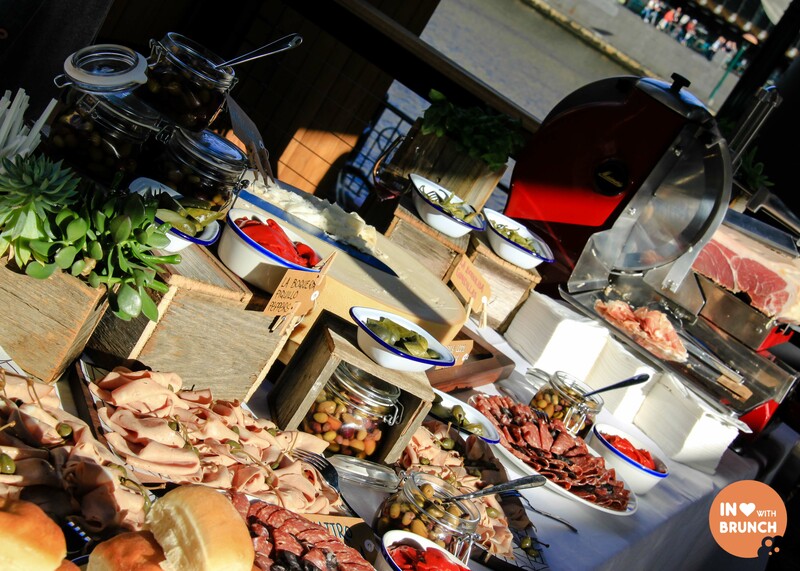 and omg – the smoked mozzarella was gooey, stringy, smokey…. drool-worthy! 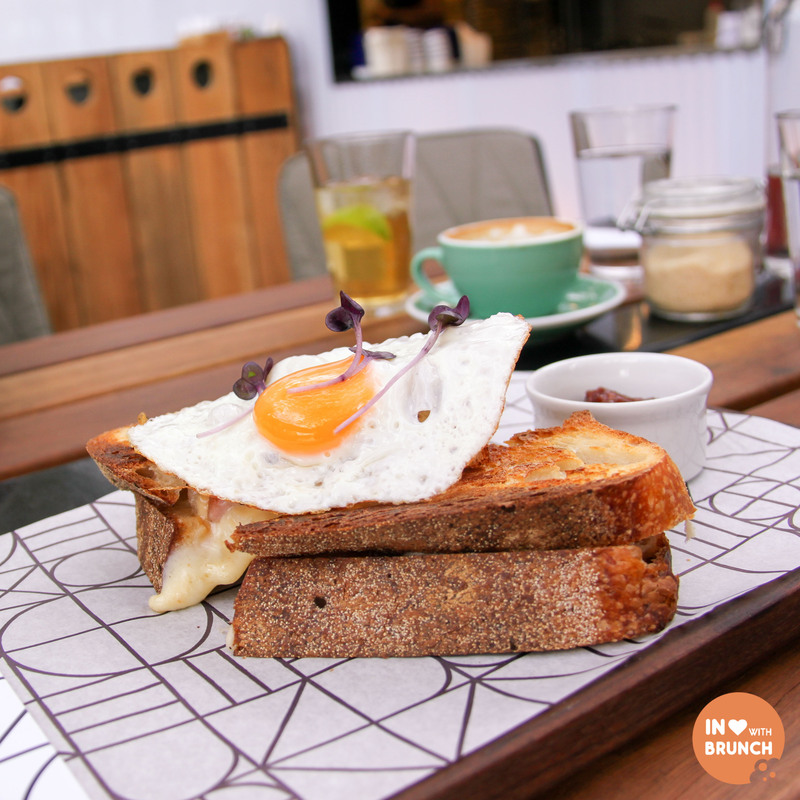 the presentation was beautiful, but i will admit i think that this would’ve been a bit easier to eat if the egg had been served inside the toastie. 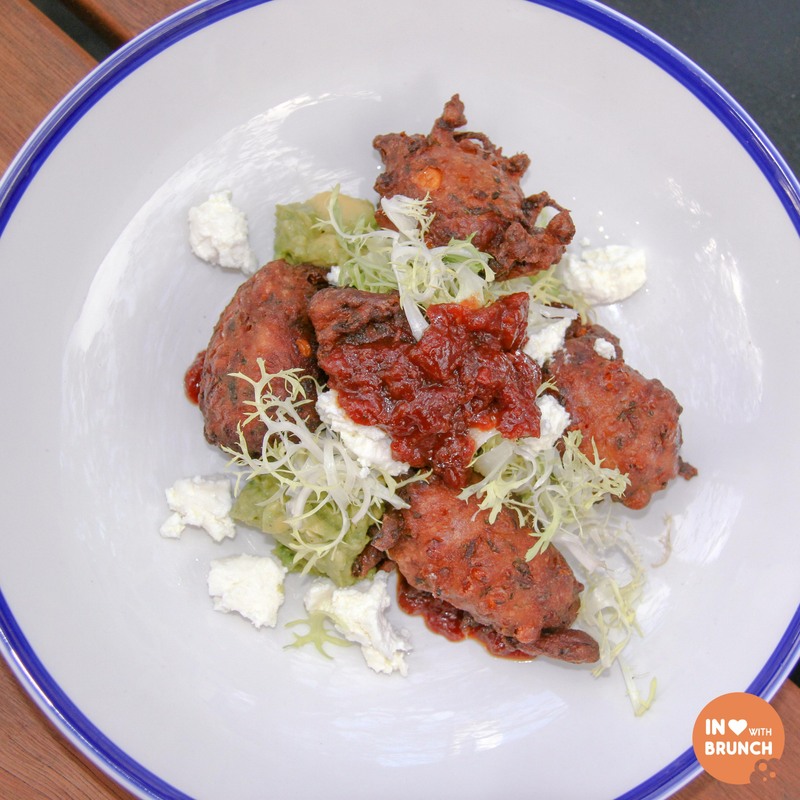 lucky me – beautiful crispy fried fritters twice in one week! the flavour in these were fantastic, served almost like a salad – surrounded by creamy avocado, a smattering of leafy greens, a strong feta (who doesn’t love avo + feta together?!) and a generous serving of the same delicious relish that came with the toastie. a poached egg would’ve made this a 10/10 for me (i stole some of my husband’s fried egg instead), but it was close! when it comes to drinks, these guys have chosen well! 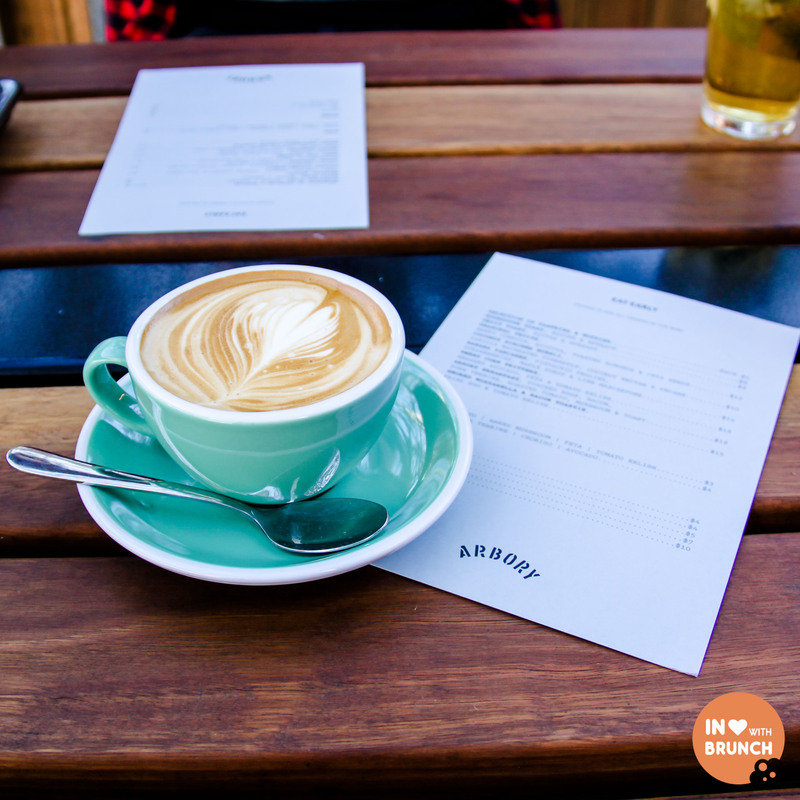 serving doc wines (the rosato on the night of the launch was delicious) and a focus on craft beers including mornington peninsula pale ale, golden axe cider and brooklyn lager… this morning i stuck with coffee – a flat white using axil’s seasonal blend. 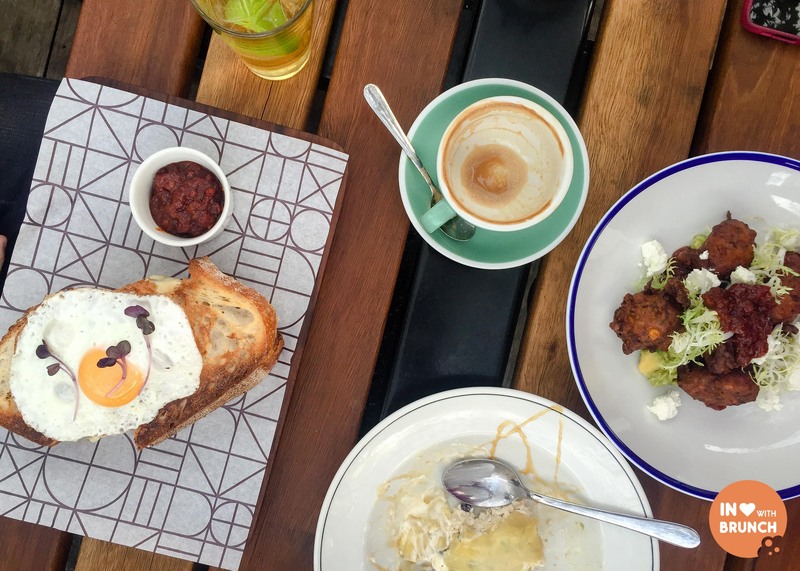 all in all, a very enjoyable brunch date (extra spoilt to have my husband join me on a thursday morning) – quality food, great taste and an absolutely unique setting! i have a feeling this is going to become a regular stop for me either before or after work (which happens to be right across the river!). and i can’t help but share a few photos from the official launch and bloggers night that i thoroughly enjoyed (and was flattered to have been invited too). 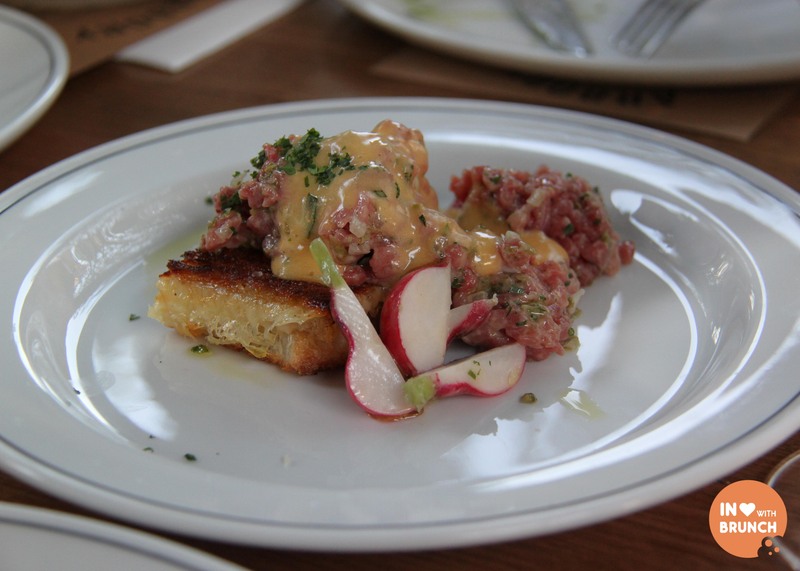 steak tartare, cheese, toast + sauce béarnaise – my absolute favourite. this is my must try recommendation! Looks like you enjoyed yourself 🙂 Great photos and YUM to your food selections! Also, I LOVE the colour of the coffee cup 😀 favourite colour.